Everyone knows the key to surviving the silly season is wine. Glorious, copious, amounts of wine. But we aren’t talking goon. No sir, you are waaaaaaaay to classy for that. And more importantly, with at least one relative you’d rather not see guaranteed to be gathered ‘round the Chrissy table, you definitely don’t have time to nurse a goon hangover. But ICYMI Christmas is kind of expensive. And when we say kind of, we mean very. So we had a chat with our wine loving friend Andrew Graham from the Oz Wine Review who knows just the bottle for those times when you’re skint but in desperate need of making merry. 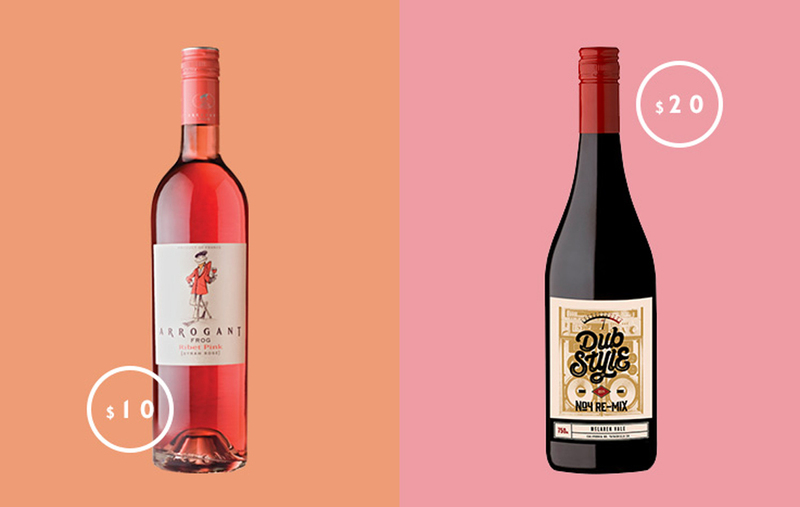 Here are six wines to drink when you’re broke AF this Christmas. I don’t care what prosecco I drink— said no one ever. The Alto Profilo Prosecco DOC will get everyone’s pinkie up and at just under $20 a bottle there is officially no excuse to drink bad bubbles this Christmas. It’s juicy, yet delicate, with that trademark Italian fizz (and the bottle looks good too). The only thing that’s white about Christmas in Australia is the wine. 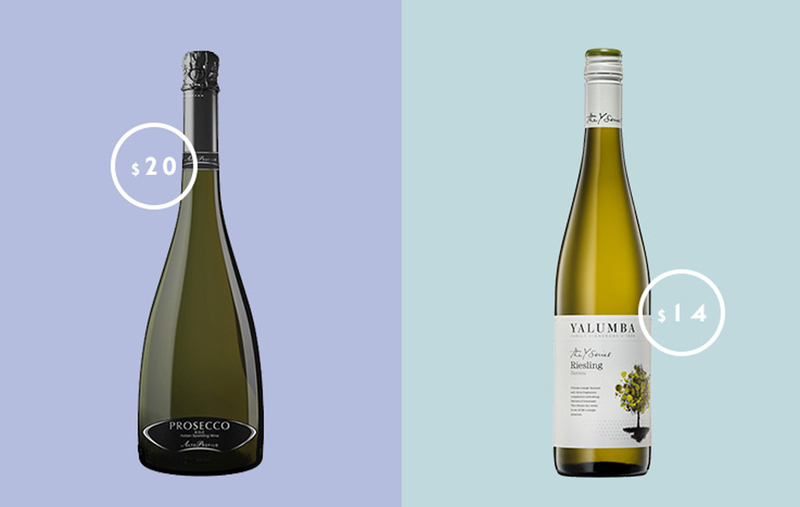 For no more than an easy $14 the folks over at Yalumba are offering up their 2016 Y riesling and take it from us, life would be better if more people drank this riesling on the reg. Fresh, summery and every bit delicious, this is summer in a glass. Long lunches that roll in to dinners are exactly what we’re talking about. Rosé is the unofficial drink of all day sessions this silly season and the Arrogant Frog Ribet (geddit?!) rosé is just ten bucks a bottle. And we all know what this means— more wine for you! This drop is savoury, elegant and oh so French. Sometimes you want to make a statement and this is just the bad boy to do it. The Dub Style Re-Mix No. 4 is a mix of McLaren Vale grenache and mourvedre (think full bodied), and retails at just under $20. The label makes it an awesome (and affordable) gift, which if we’re being honest, they’ll probably share with you. Like we said earlier, this is not a goon list. The Airlie Bank pinot noir is what you spend your last twenty bucks on when you want to convince your Aunty Meryl that you do in fact have your life together. Packed with spicy red fruit and real tannins, you’ll be the most popular kid at the Chrissy table. So it might be all toasties come Boxing Day, but it will be worth it. Splash out this Christmas on a bottle of Deviation Road Altair rosé NV at just under $30 a bottle. 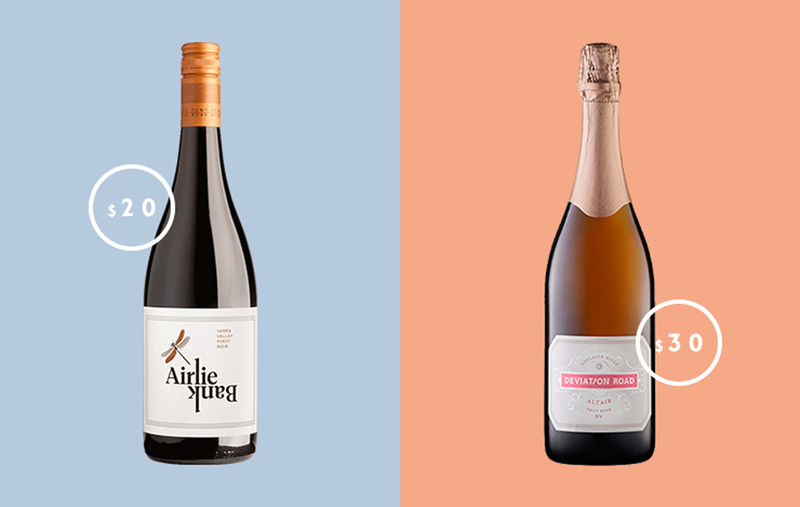 This is the real deal when it comes to sparkling rose; you’ll probably want two.